From lengthy paid leaves to adoption assistance subsidies, here are companies that are paving the way for working mothers. It’s no surprise that offering strong parental support to both mothers and fathers can positively impact one’s family life, but also drive business results as an organization. Yet in 2019, paid parental leave is only available to about 13 percent of working Americans in the private sector, and only available to 7 to 8 percent of workers in service and maintenance jobs. While organizations are slowly starting to make changes to promote more inclusive environments, much work in this space is required. Here are six companies with strong policies that redefine parental leave across North America. Microsoft continues to act as a major tech giant influencing parental leave policies in the United States. The company offers a generous five months paid leave to all new birth mothers, and three months for fathers, adoptive parents, and foster parents. 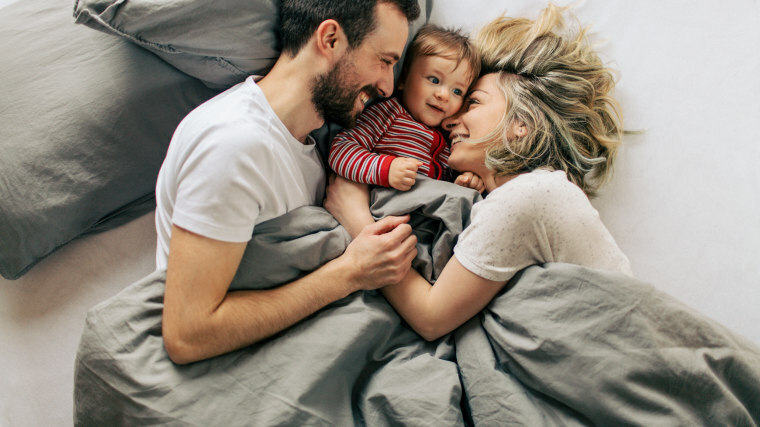 While they are not only re-defining parental leave within the organization, they are using their power and influence to shape other companies as well, by only partnering with vendors and suppliers that offer a twelve-week minimum parental leave, for either birth or adoptive parents. This means that if you are a supplier, or contractor that wants to work with Microsoft, you’ll be required to offer paid parental leave to your employees. This is a major step in holding organizations accountable. Netflix has made a huge ripple in the U.S. job market and has raised the bar across the country by offering a full year of paid time off to both mothers and fathers. Parents may come back on a part-time basis during this time should they desire, or come back, and leave again within this one year period while having their full salaries and benefits paid. This is a benefit for both their full-time and part-time workers. Deloitte is well known for its strong parental leave policies across the world. The average paid time off for new moms is twenty-two weeks, while for new dads, the average is sixteen weeks. Beyond the financial components that make it easier for new parents to take their leaves, they create a supportive workplace for parents returning to work. With programs like the “Reconnect Program”, that coaches parents at work to give them the know-how and confidence to support both their careers and families, or the “Deloitte Dads” program that helps create equitable access for men to take leave, there is no shortage of support for new parents. Other great perks include flexible transitioning back to full time, and financial support with childcare once you do return. KPMG offers paid leaves of 17 weeks for new moms, and four to six weeks for new fathers. What makes their policies notable is their support for families struggling to start their families. KPMG offers $6,000 per lifetime for in vitro-fertilization, and up to $20,000 per child for adoption assistance subsidy. This is a huge stride for any family that can’t afford these procedures, but still long for a family, and certainly helps support diversity and inclusion within the workplace. With flexible working hours, working-parent support networks and groups, and formal backup care for children, they create a supportive space for parents to return back to work once their leave ends. Canadian employees at Tucows get six months of their salary topped-up to make 100 percent of their salary, and U.S. employees get topped-up for three months. This is applied for both mothers and fathers within the organization, whether they are birth parents or adopted parents. The organization offers a flexible work environment, that encourages parents to work from home in the time leading up to their leave, allows them to work from home when they get back, and helps them gradually transition back to full time upon their return. They offer a flexible lifestyle spending account that can help cover strollers, child care, spa days for some self-care, baby circles, etc. The social media and camera company is not just the preferred app for Gen Z, it also offer some next gen maternity and paternity benefits. All new full-time mothers are eligible for 18-20 weeks of 100 percent pay for maternity leave (18 weeks for normal delivery and 20 weeks for c-section). After four months of employment at Snap, new fathers are eligible for up to eight weeks of 100 percent pay for paternity leave. For busy professionals, having a baby requires an extra layer of support. Snap is proud to provide Maven Clinic to support you for any services related to maternity, infertility, and egg freezing. Maven provides on-demand access to a network of heavily-vetted women’s health physicians, midwives, nurse practitioners, mental health providers, and pregnancy experts — instantly, via video or private message, straight from your iOS device or desktop. Stacy Pollack is a Learning Specialist with an MA in Educational Technology. She is passionate about building leadership programs that engage and contribute to the success of her organization. She loves to share her perspective on workplace development, human resources, career building, and networking for success. Connect with her on LinkedIn, Twitter, or at www.stacypollack.com. This article first appeared on Glassdoor.com.